At JIL SANDER, a fashion brand known for its minimalistic aesthetics, Luke Meier, the new Creative Director who is also the former head designer at Supreme, and Lucie Meier, former head designer of womenswear at Dior, present the 7 Days Shirt Collection for 2018 Spring-Summer. The capsule collection features the brand’s signature white shirt for each day of the week, tailoring for their different moods and needs. Made in JIL SANDER’s signature white cotton poplin, it is a collection that pays tribute to JIL SANDER's iconic shirt design. The shirts are made of premium Supima cotton and spun in Egypt and are embellished with luxurious details like mother-of-pearl buttons that appear on the shirts. The silhouettes become softer and relaxed as the weekdays turn into weekends. Details of change include designs in collars, cuffs - some are detachable and doubled. These details are carefully designed to convey precision and sophistication. The capsule collection will be available exclusively at ART HAUS. 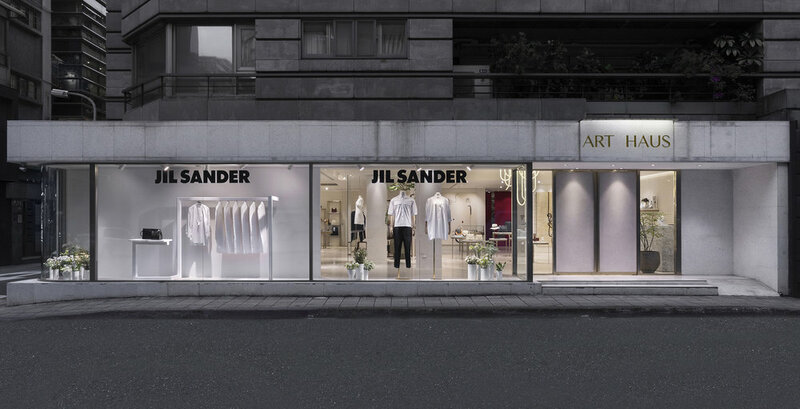 ART HAUS also works with JIL SANDER in curating the window design to ensure a true reflection of the brand’s essence.